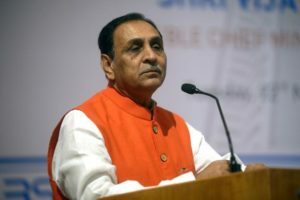 Gujarat Chief Minister Vijay Rupani has decided to appoint municipal commissioners as the head of various departments under urban development programme, replacing the existing district collectors who are presently taking care of the same. The decision has been taken to ensure provision of better facilities for people in urban areas, the state government said in a communique on Wednesday. “The CM has taken this decision to ensure better efficiency of the District Collectors in Seva Setu. According to this decision, the Municipal Commissioners of Ahmedabad (AUDA), Vadodara (VUDA), Surat (SUDA), Rajkot (RUDA), Jamnagar (JADA), Bhavnagar (BADA), Junagadh (JUDA) and Gandhinagar (GUDA) will be the heads of the various departments under Urban Development,” it said. Under ‘Seva Setu’, a major initiative launched by the Government of Gujarat to offer on the spot services such as income certificate, caste certificate, Aadhar card, ration card, creamy-layer certificate, etc, camps are organised by the Prant Officer of the taluka on monthly basis for people of surrounding 8-10 villages. The various programmes and services organised under the initiative, the government aims to provide a last mile connectivity to people with the local state machinery at various stages, enabling the full chain of transfer of benefits from the government to the beneficiaries.